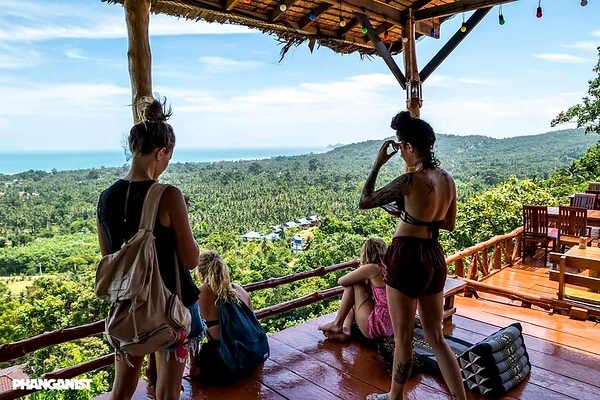 The viewpoints of Koh Phangan. 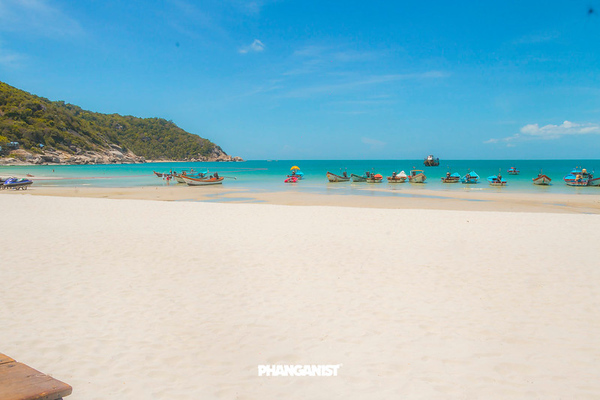 Humans are obsessed with Sunrises and Sunsets and beautiful views and Koh Phangan is fabulous for these daily events. 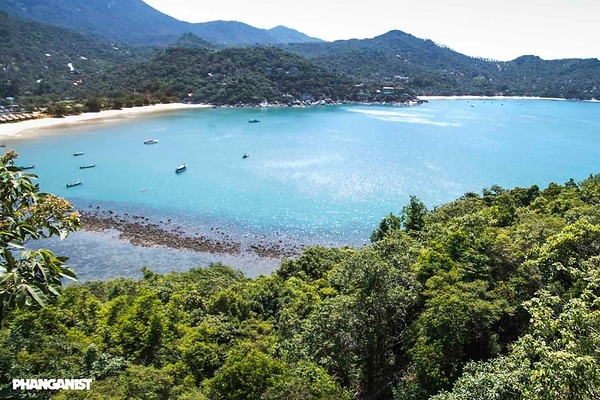 There are so many viewpoints on the island it is not easy to choose the best one, which is a good thing as there is never a breathtaking view too far away from you wherever you live on the island. 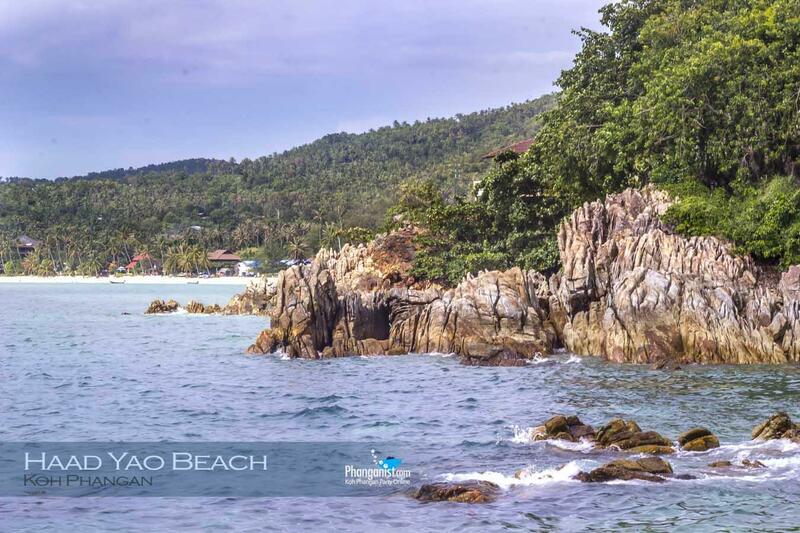 The highest point of Koh Phangan is Khao Ra which is essentially the mountain in the middle. The trek to the peak can be a challenge so if you go it is good to hire a guide which will cost around 500 baht at the base of the trail. It can be easy to get lost and the guide can take you up safely and can also show you points of interest on the way. Flip Flops are not a good idea for this trek and take plenty of water obviously. This viewpoint as it is the highest peak of the island is the best view for sunset and sunrise. The sun rises around 6.30 here so be prepared for an early set off but this will be cooler for you to climb. It will be worth it! This viewpoint is great for amateur, professional or smartphone-photographers. An easier viewpoint to appreciate the sunrise is Haad Rin on Sunrise beach where there are many bars and resorts for breakfast after seeing the Sunrise. 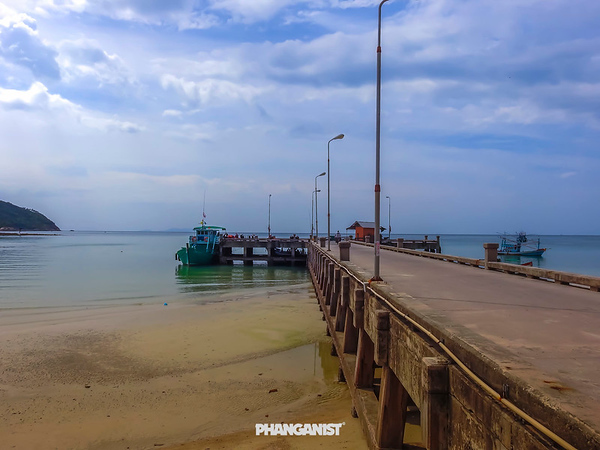 Koh Phangan is a very small island geographically and it is very easy to find your own viewpoint on the island all you need is a motorbike, a helmet and a map. Always tell someone a general idea where you are going and get on the moped and have a great day. 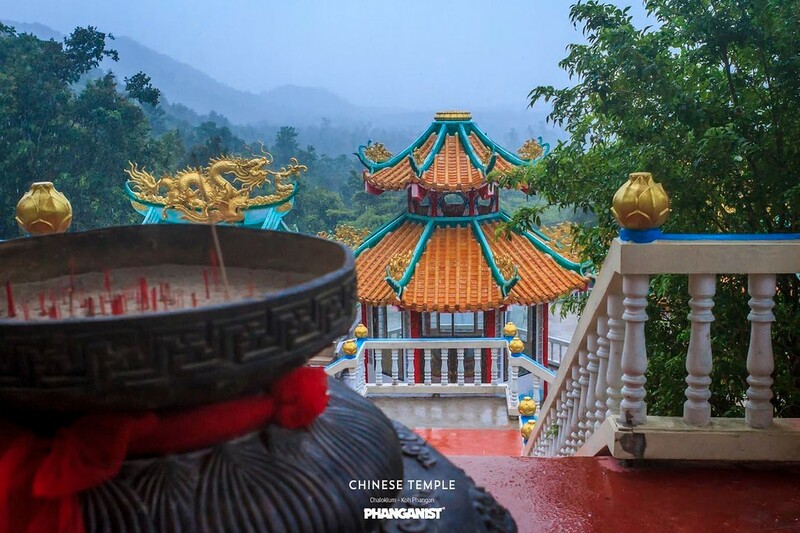 This island is full of adventure if you set out aimlessly you will stumble across temples, great food and bars that you would never have found if you didn't have a little adventure inside you. It is not possible to get completely lost on this island as if you find yourself not knowing where you are you just turn around and you will quickly find yourself again. The harbours in Thong Sala, Baan tai and Chaloklum are great for photos as you can see the daily life of the local Thai people with fishing boats setting out and diving boats full of excited tourists ready for these underwater adventures. 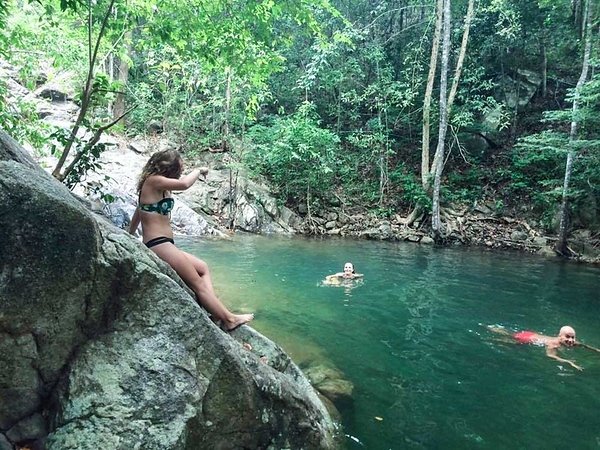 The waterfalls on the island are easily accessible and wear some appropriate footwear and take a walk up for some great views and also for a dip in the natural pools that have formed. Along with humans, mosquitos love the Sunrise and Sunset so make sure you take your repellant as sunrise and sunset is mosquito city at these times. But its worth it for the photographs you can take before a well earned breakfast. How do your Dragon Fruit grow...? !